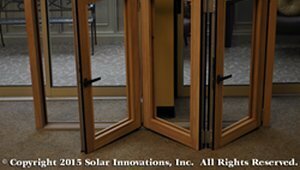 Solar Innovations, Inc., a custom manufacturer of residential and commercial skylights; folding, sliding, and stacking walls, doors, windows, and screens; sunrooms; greenhouses; garden windows; and conservatories; receives patent for Adjustable Door Catch. Selecting glass can be a complicated process. With technologies like processing, layers, thickness, infills, tints, and LowE coatings, there are thousands of glazing options from which to choose. This white paper identifies glass options available and what factors to consider when selecting the best fit for your home. Pine Grove, Pa – Solar Innovations, Inc. completes the implementation of a closed-loop greenhouse aquaponic system inside the company’s green LEED gold certified corporate headquarters and manufacturing facility. 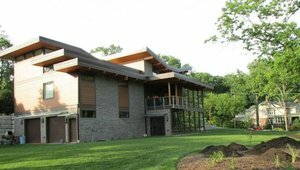 Windows play a major role in passive solar design and ventilation strategies that can make a home more comfortable, and contribute to heating and cooling that doesn't cost a dime. 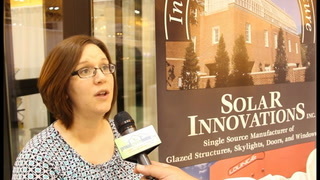 Solar Innovations, Inc. recently completed the testing of its second generation 90° operable skylight. The skylight underwent air, water, structural, impact, and cycle tests. As folding glass walls and tilt-turn windows become more popular with homeowners, there are new options in true wood to fit any style of home. For home that blurs the line between indoor and outdoor living, folding glass walls create an easy-to-use solution that can fit into any style.